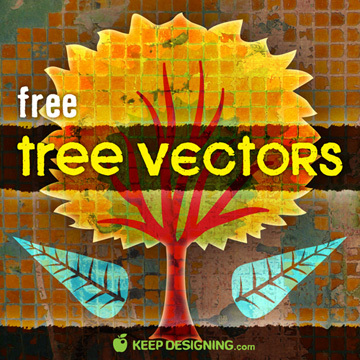 Were back from summer vacation with some free tree vectors just in time for autumn. These free tree vector stock art graphics vary in style and can be modified for any design- be it poster designs, animations, packaging, and more. I’m sure you all will get much use from these free tree vectors considering how everything is going “green” nowadays- as it should be, we only have one earth- lets take care of it. 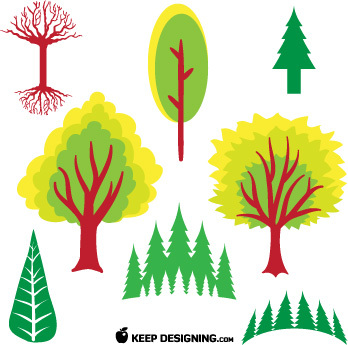 These free tree vectors are original, copyright free artwork that can be used on any commercial or personal project.�These vectors can be used with any vector editing software such as adobe illustrator. Come back soon for more tree vectors. Well, hi! These are nice! I really like to ‘bare’ tree and roots. I’ll have to see what I can do with that one! LOL I sure do thank you! Great use of the green and red colors. I like the way the colors play off of each other. Using photoshop is a great way for artists and graphic designers to express themselves. Gracias por compartir los dise�os. they are amazing….Thanks they’re quite helpful!